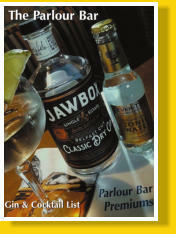 The Parlour Bar & Restaurant offer superb, locally inspired menus, otherwise known as great pub grub. There is a wide variety of menus to suit any appetite. From our very competitively priced 2 Course Special through to our extensive main Parlour Bar Menu and special Childrens Menu we are sure you will find something to suit every occasion. We only stock the best premium brands including Grey Goose Vodka, and Belvedere Vodka. We stock RubyBlue Premium Vodka,Ireland’s First Potato Distilled Vodka. 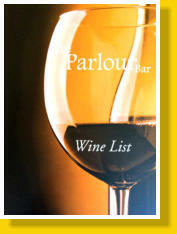 We stock a wide selection of wines in our cellars. The Parlour Bar & Restaurant is believed to be the oldest public bar in Newtownards Previously known as the Old Cross Inn, it was built in 1735. Nearly 300 years later, Jim and Dawn took over the premises at the start of 2012, and on March 17 of that year the pub and restaurant was opened and rebranded as The Parlour. Well known and respected as publicans in the town - Jim and Dawn Cooke have transformed the Old Cross into a beautiful, well run bar and restaurant, serving excellent food and attracting a wide range of clientele, from those wishing to enjoy a marvellous pub meal or celebrating a special occasion with that something extra.Small, intimate and with a roaring fire in winter, The Parlour Bar in Newtownards is the ideal pub/ restaurant for a cosy and indulgent lunch or dinner. All produce is locally sourced and the menu includes Portavogie scampi and an award-winning pie made by local butcher H & J Carnduff. For an immensely satisfying meal try a Parlour steak burger topped with pulled pork, melted apple wood smoked cheese and tobacco onions washed down with Parlour Pale Ale, specially brewed for the Parlour Bar by the Ards Brewing Company. 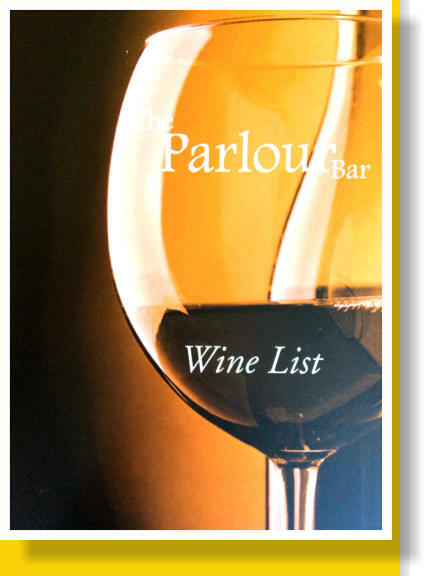 The Parlour Bar & Restaurant offer superb, locally inspired menus, otherwise known as great pub grub. There is a wide variety of menus to suit any appetite from our very competitively priced 2 Course Special through to our extensive main Parlour Bar Menu and special Childrens Menu .